Head on over to an intimate after-party at the William Vale terrace to relax and mingle with the chefs and staff over bites and original Altos Tequila cocktails. Attend with an RSVP, Foodie Pass or All-Access Pass. The All-Star Cookout is Brooklyn's one-stop food and drink culinary mash-up, featuring 12+ grilling stations and drinks in East River State Park. It's a day of discovery and indulgence where talented chefs, restaurants, bands and celebrities throw down their best cookout creations just for you. Entry A: 12 noon | Entry B: 2:30pm | Entrance at N. 8th Street and Kent Ave. Entry includes 12 plates of food and two complimentary cocktails ALL INCLUDED for just $49. Cash bar will be open. 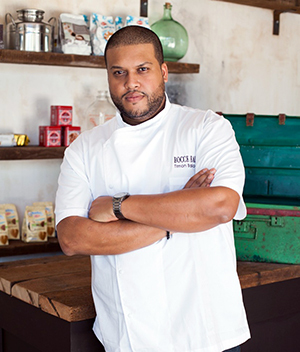 The Future Food Expo returns to Brooklyn during Taste Talks this year! We're back celebrating what's next in food through a day-long showcase. As America’s hottest test kitchen, Brooklyn has become an international epicenter of the food movement. 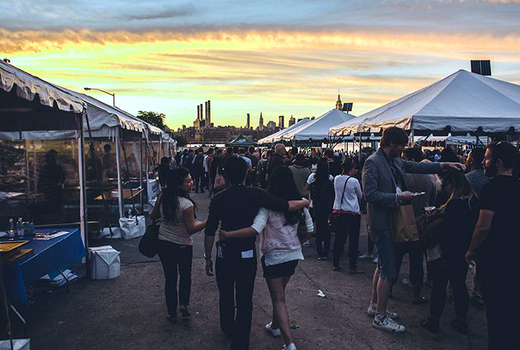 This event, the only one of its kind, is an exhibition that showcases the future of food products, companies, media and innovators from right here in Brooklyn and around the world! Start your day out right by digging into brunch catered by Seamore's before our day-long festival Conference! The Tasty Awards live ceremony is followed by an after party at The Weylin celebrating the winners, nominees and the future of taste. Food, drink and music to match the incredible talent and imagination recognized at the awards make it a party unlike any other. We'll have a sampling of amazing local vendors including Altos Tequila, Austin Eastciders, Pies'N'Thighs, Campell Cheese & Grocery, Chicha, OddFellows and The Meatball Shop and more!